The TU814V1 MTU can have up to 16 I/O channels and two process voltage connections. The maximum rated voltage is 50 V and maximum rated current is 2 A per channel. 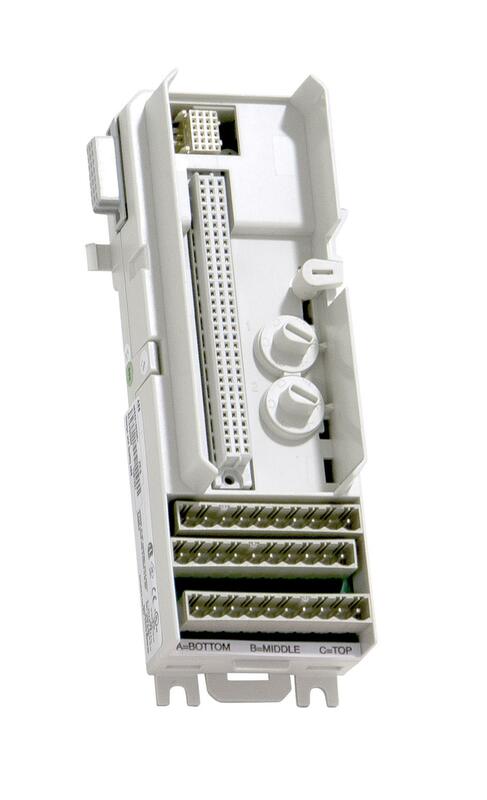 The TU814V1 has three rows of crimp snap-in connectors for field signals and process power connections. The MTU is a passive unit used for connection of the field wiring to the I/O modules. It also contains a part of the ModuleBus.